Wilko Graf von Hardenberg received post-doctoral funding from the Autonomous Province of Trento. Bears have been on Europeans’ minds lately, as violent encounters with these powerful mammals make international headlines. In late July, an encounter in the Italian Alps between a female bear, 14-year-old Kj2, a man and his dog ended with the man being hospitalised. A few weeks later, Kj2 was killed upon order of the provincial administration. Around the same time, in the French Pyrenees, a bear startled a flock of sheep and drove them to their death at the bottom of a cliff. The increasing number of confrontations with bears is not coincidental. Like other large predators, bears have been reintroduced all over Europe since at least the early 1990s, thanks to European Union-funded wildlife programmes. Local communities, politicians, and some in the media have started to use these incidents to push for not just the removal of the culprits but for an overhaul of these decades-old programmes. There are calls to allow people to once again hunt bears, though these remain a critically endangered species in western Europe. As I explain in a recent essay on the conservation of bears of the Italian Alps, published in a book I co-edited, The Nature State. Rethinking the History of Conservation (Routledge, 2017), the issue here is biosecurity. The state must be able to guarantee local communities personal and economic safety while also defending the right of iconic species to roam areas that were once their historical ranges. This is proving a tricky balance. To hunt or to preserve? Until the early twentieth century, governments in both Austria and Italy sided with local communities, awarding monetary prizes for every bear killed in a hunt. In this system, all the risks of cohabitation were essentially borne by the bears. Over the last century, as Alpine landscapes have undergone radical changes, the areas available to bears shrank markedly. The combination of habitat change with a state policy aimed at species extermination proved very effective in reducing the presence of bears in the Alps. By the end of the 1930s, most Alpine bear colonies had gone extinct. Small populations in Slovenia and northeastern Italy were the only exceptions. As the conservation movement gained steam in the mid-twentieth century, there were attempts to preserve the remaining species, particularly in Italy. The Fascist regime declared a total ban on hunting in 1939, and various plans were laid to create a nature reserve in the Alps of Trentino, in northen Italy. In parallel, a complex system of monetary compensations granted herders at least some indemnification for possible bear attacks on sheep and cattle. In doing so, the state took over some of the risks of human cohabitation with bears. But efforts to preserve the colony in Trentino proved useless: by the end of the 1980s, the residual population was deemed too small to guarantee reproduction. 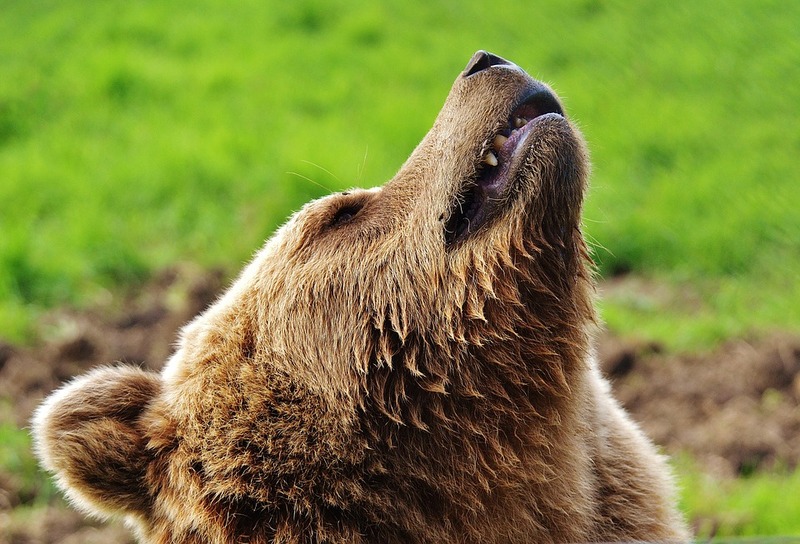 Instead, bears from Slovenia were introduced there to ensure the continuity of bears in the mountains of Trentino. Such reintroduction programmes caused local communities to lose trust in the state, perceiving it as taking sides in favour of conservationism and the bears. Attacks like the one in late July and a 2014 incident, which led to the death of the bear Daniza, have also seemed to awaken some politicians’ baser instincts. Following each violent ursine encounter – which, if frightening, are still infrequent – some have adopted nearly the same xenophobic discourse they employ criticising European migration policies. The bears of Trentino are represented as foreign and dangerous, alien to the territory they inhabit. Citizens are called to assert control over “their homeland”, reclaiming it from the bears that politicians of opposing factions have helped to reintroduce and after centuries of wilful destruction. It may well be that the female Kj2, who was killed after putting a man in the hospital, was dangerous. Yet from some accounts, it seems Kj2 may have simply been acting in self-defence from a scared and stick-wielding human and his dog. Either way, she could likely have just been relocated to a safer area, which would have appeased fearful locals and returned the debate about cohabitation with bears to a less confrontational level. As numerous conservationists and animal rights activists have claimed, shooting Kj2 for having exhibited the natural behaviour of a bear seems like a disproportionate response. Bear defenders have called for a tourist boycott of the region. Conflicts between humans and bears, or by proxy conflicts about bears between local communities and state authorities, aren’t recent history in Trentino. Cohabitation has been the normal state of things in the Alps since well before reintroduction programmes began, and herders have been looking for ways to cope with the bear for over a century, adapting their strategies to changing state norms and legislation. Bear attacks are only most recent manifestation of an interspecies conflict about access and resources use that has always occurred in this rural region. But, over the centuries, as populations of great predators greatly diminished in number, so, too, has our tolerance for risks. Decades of perceived security have made modern sheep herding, for example, unfit for proximity to bears. There is no way to end conflicts and encounters, but it is possible to reduce their impact. Establishing clear rules on what humans are allowed to do and how they are supposed to behave in areas frequented by bears (and defining where these areas are located) would be a good start. Wielding sticks, approach cubs and letting dogs off-leash would definitely not be included in such guidelines. The costs and risks of cohabitation need to be more fairly redistributed among all the actors, from tourists and herders to the municipality and provincial government and, yes, the bears, too. Because the Alps still deserve their bears, and the bears still deserve their Alps.